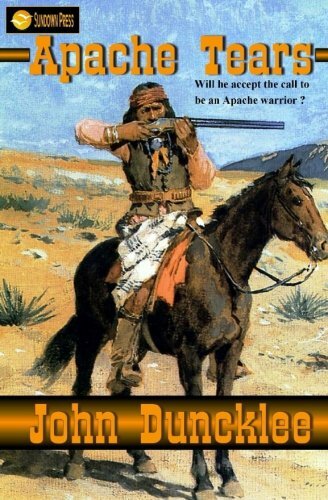 A young Apache boy, Kaetin, loses everything in one fateful night of death when many of his people are massacred by another Indian tribe. Stolen away and forced into captivity, Kaetin waits for his chance to escape, and when it comes, he kills the man responsible for the deaths of his mother and sister so many years ago. But Kaetin must learn to accept what has happened in his life and turn away the bitterness that his thirst for revenge brings. Once he joins Geronimo’s band, he faces being shunned by many of the warriors for his unwillingness to become a warrior himself. Can Kaetin survive in the harsh Apache world and stand true to his own beliefs? Through a white prospector, Silas, he learns that not all White Eyes are treacherous, and that revenge can never bring happiness. Reconciling his losses and his future proves to be the hardest thing he’s ever done.